If you’ve ever wondered what services to expect from a bank, how to choose a new doctor, scams to avoid when buying a new car, or how to deal with an unanswered complaint on a faulty product, USAGov has a handy free tool that just may help. They’ve just issued a 157-page Consumer Action Handbook (alert: 3 mb PDF) with many valuable tips, how-tos, scam avoidance advice and directories. with disabilities, military families, and also for emergency preparations. Part IV — Consumer Assistance Directory – Find contact information for corporate offices, consumer organizations, trade groups, government agencies, state authorities and more in a 70+ page directory. You can also search for topics in the Index beginning on page 138. 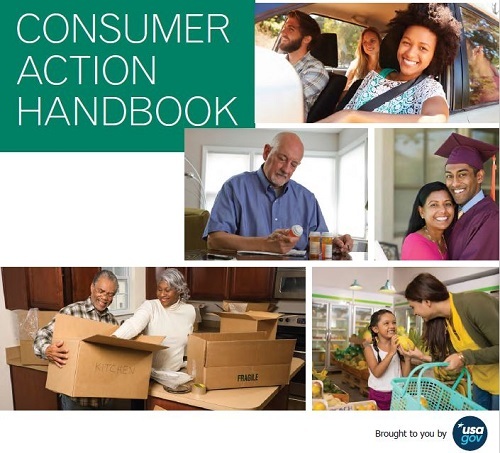 You can download a copy or order a free print copy of the Consumer Action Handbook here.